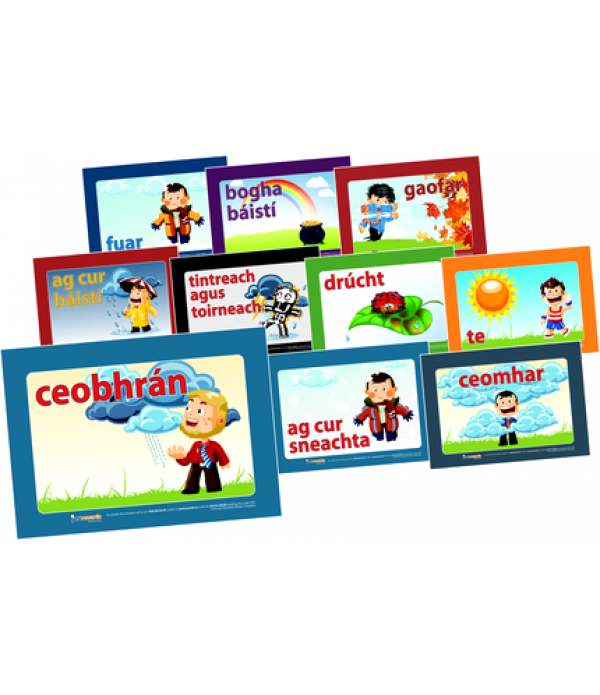 These colourful signs are printed on strong card and will brighten up any classroom as well as helping to teach the weather as gaeilge. 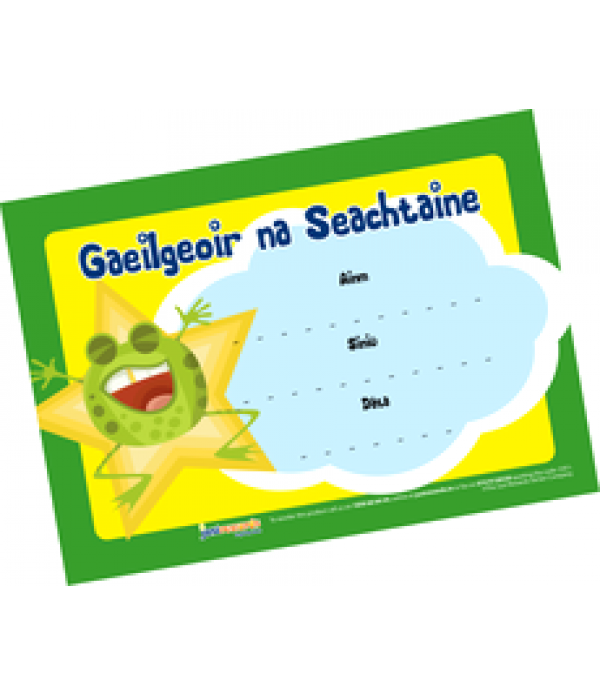 10 Signs per pack. 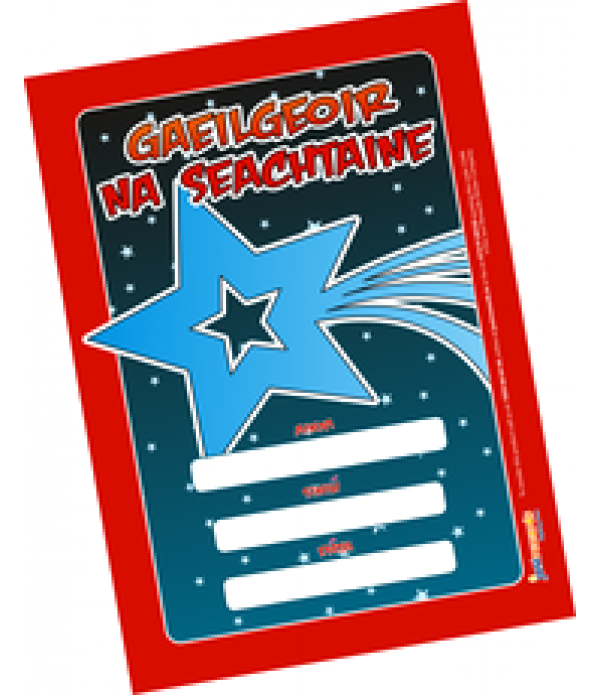 Size: A4 (each) Perfect size for laminating.. 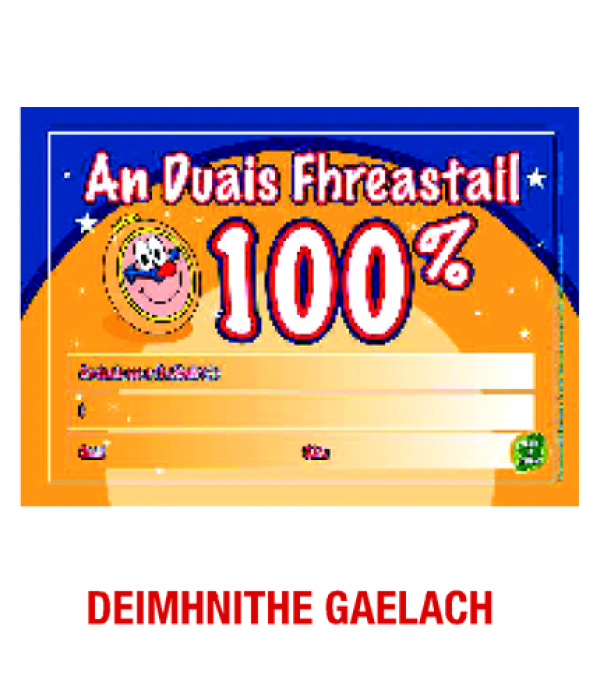 Pack of 20 Size: A5, 148mm x 210mm Printed on high quality card 20 certificates per pack.. 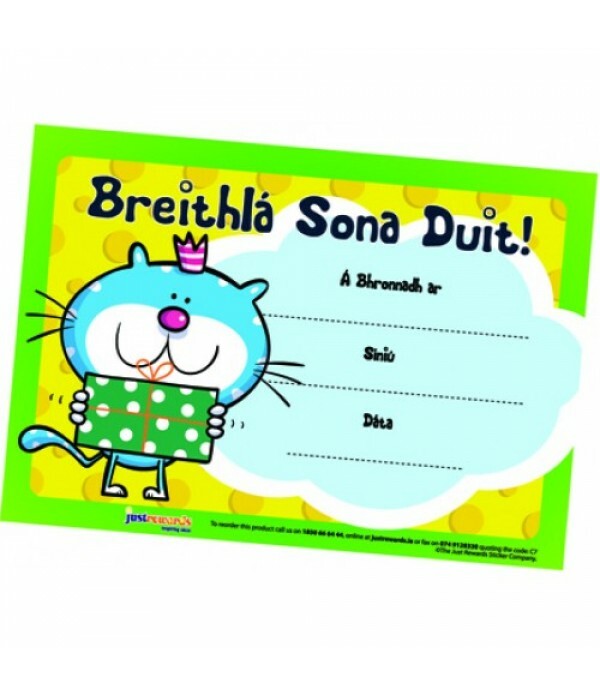 Pack of 20 Breithlá Sona Duit Certificates Size: A5, 148mm x 210mm Printed on high quality card 20 certificates per pack.. 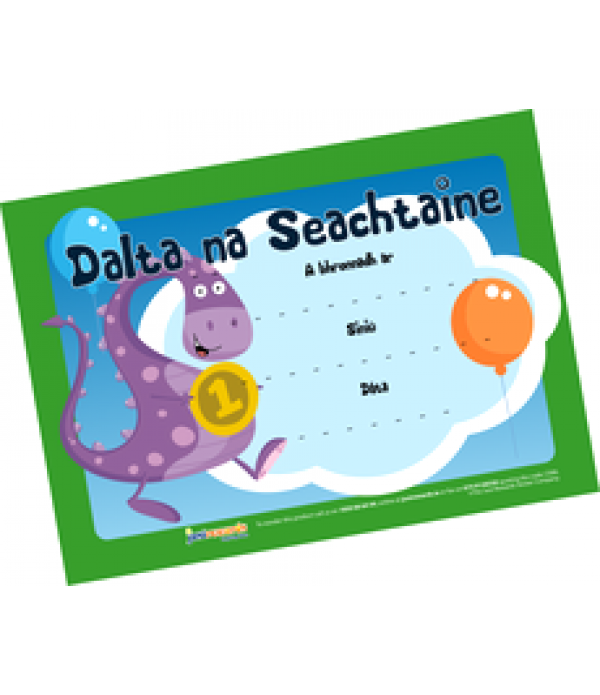 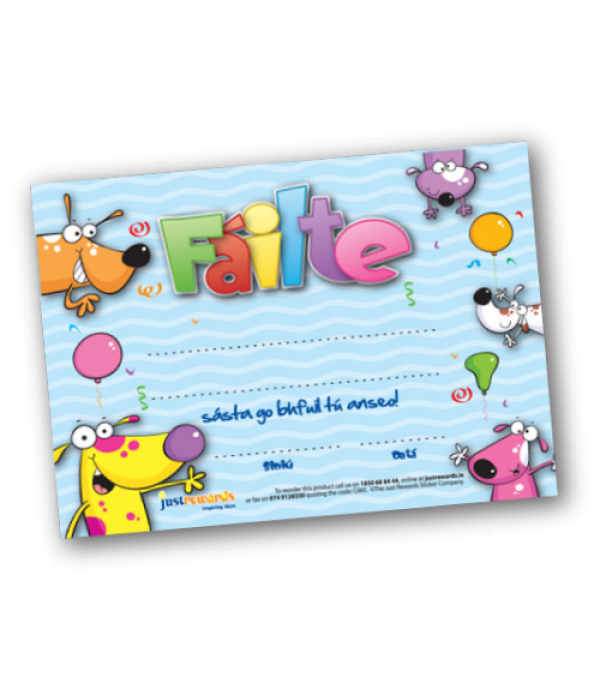 Pack of 20 Dalta na Seachtaine Certificates Size: A5, 148mm x 210mm Printed on high quality card 20 certificates per pack..
A Class Pack of 30 Fáilte CertificatesA lovely way to remind your little stars about their first day in your class.Size: A5, 148mm x 210mmPrinted on high quality card30 certificates per pack..
Gaeilgeoir na Seachtaine Certificates Size: A5, 148mm x 210mm Printed on high quality card 20 certificates per pack.. 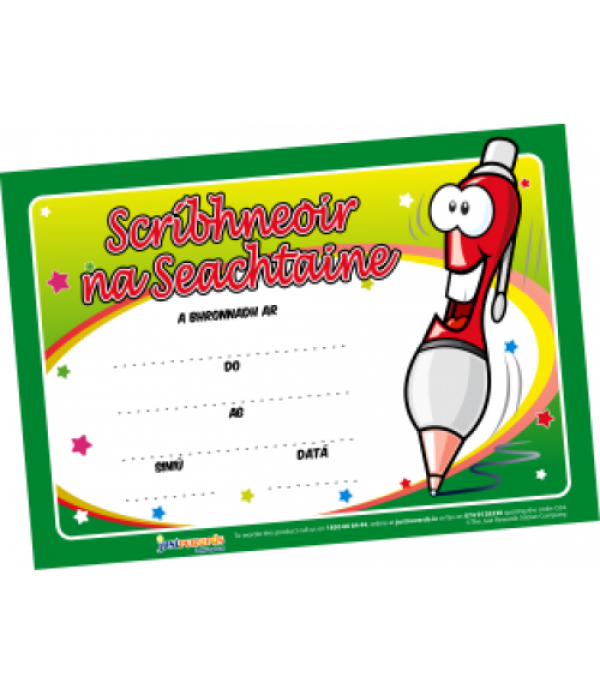 Pack of 20 Scríbhneoir na Seachtaine Certificates Size: A5, 148mm x 210mm Printed on high quality card 20 certificates per pack..